I wanted to plant a fall crop of lettuce, radishes, beets, and chard, but I didn’t have the room in my raised beds. 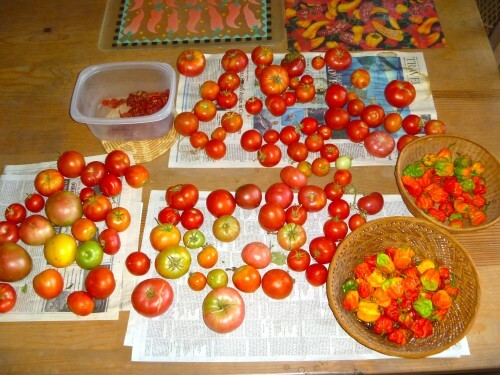 So, even before the first frost, I harvested all the tomatoes, including the green ones, and chopped up all the tomato plants and put them in the compost pile. 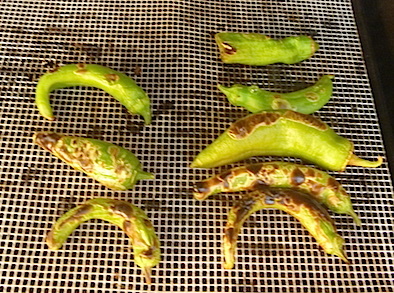 I used the old ethylene trick to trigger the green tomatoes to ripen. Ethylene is the gas produced by ripening fruit, and one of the best sources for this is a banana. 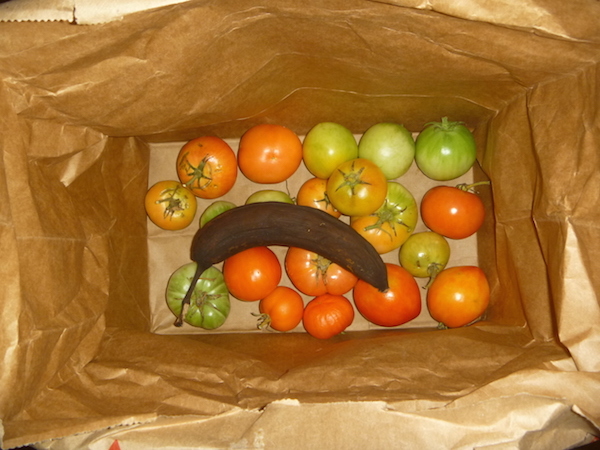 So I placed the green tomatoes in a paper bag, tossed in a ripening banana, closed and sealed the bag, and like magic, the green ones started turning pink, then red. 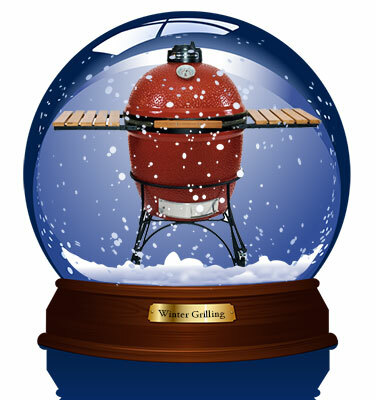 Then I decided to grill some of the red ones while I was fixing a hamburger for Mary Jane and a lamb chop for myself–this was her choice. 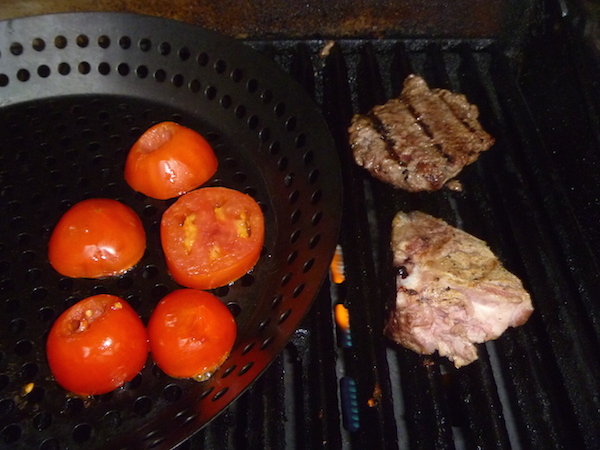 If you’re grilling tomatoes, use a grill basket or a special skillet with holes in it like the one shown. After the tomatoes turned soft from the grilling, I sprinkled a few flakes of sea salt on them, then a dash of hot sauce. 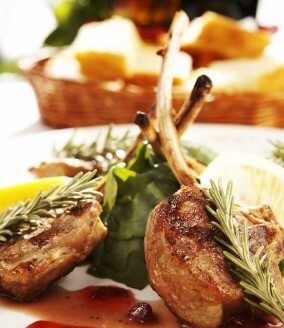 That’s all they needed for sheer dining pleasure. So, I managed to extend the taste of summer just a little longer. Grilling the tomatoes in my special skillet.